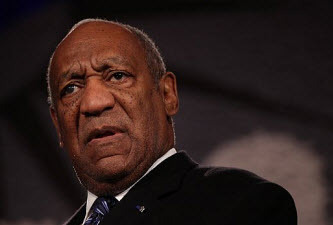 Check out this perspective on the Bill Cosby controversy by Raynard Jackson originally posted on 23 November 2014 on Black Press USA.com. Even Fat Albert knows Bill Cosby is getting a raw deal. As a public relations/crisis management professional. I have worked with some of the biggest names in sports, entertainment, and business. So, let’s deconstruct this media frenzy engulfing the man who was once America’s favorite TV dad. Many of these allegations have been around for more than 30 years. Cosby has never been charged with a crime and deserves the presumption of innocence. Simply because several people – okay, eight and counting – provide a similar salacious account doesn’t make it true. Until now, Cosby and his lovely wife, Camille, have not had to defend their hard-earned good name. They have given north of $50 million to educational institutions, especially HBCUs. Cosby has opened doors to many of the top actors and comediennes in the industry. None of the females coming forward ever went to the police when the incident in question was supposed to have happened. There have been no corroborating witnesses. After the initial alleged incident, each of the women continued to spend private time with Cosby. If Cosby had done what they allege, why would they continue to spend private time with him? That makes no sense. Not even to Fat Albert. And the media’s hands are not clean in the smear campaign. Why would respected news organizations even give these women a platform when they offer no proof or evidence to support their allegations? Corporate America has also taken the guilty until proven innocent approach toward Cosby, a former corporate darling. Evidently, Hollywood is a different world. Even more surprising than the reaction from Hollywood and Corporate America is the paucity of people willing to defend Bill Cosby or at least insist on a greater burden of proof from his growing list of accusers. To be blunt, true friends don’t desert friends based on unsubstantiated rumors. That means even when defending them is unpopular. I have publicly defended former Senate Leader Trent Lott of Mississippi when I knew accusations of him being a White racist were unfounded. I also backed former Majority House Leader Tom DeLay, who stepped down in 2005 after being indicted for allegedly improperly funneling campaign donations to Texas House candidates. He was eventually exonerated but by then, his political career had been unfairly destroyed. Doesn’t Cosby deserve that same kind of loyalty? I am not aware of one public statement of support from any former cast member of Cosby’s shows. I am not aware of any statement of support from any comedian on the scene today whose career took off because of Cosby. I am not aware of any statement of support from any civil rights group or college that have gladly taken millions over the years from Cosby and his wife. Without delving into the issues about which only Cosby and his accusers know, at minimum, those who have been recipients of his largess could at least say there’s another side of the man. I have spoken to a few of my A-list Hollywood friends about this issue and I found their explanations repulsive. They are all afraid of being “blacklisted” by White, liberal Hollywood. As much as I love money and success, I love my integrity more. How can you not support someone who has been instrumental in your being the very person you are today? How do you justify leaving someone like Cosby out to hang by himself? Even Fat Albert doesn’t think Cosby deserves this kind of treatment. 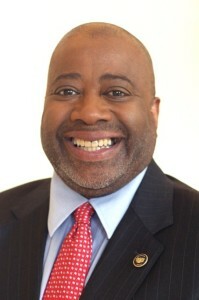 Raynard Jackson is president & CEO of Raynard Jackson & Associates, LLC., a Washington, D.C.-based public relations/government affairs firm. He can be reached through his Web site, www.raynardjackson.com. You can also follow him on Twitter at @raynard1223. Well said. To paraphrase Kurt Vonnegut, one of the few good things about modern times: If you are crucified horribly on social media, you will not have died in vain. You will have entertained us. 1) When you are dependent on others for your livelihood, because of our lack of industry ownership you can easily be silent. Hell, we can’t even boycott goods, because we don’t produce anything, and again dependent on others for clothing, food, etc. 2) Propaganda continues to be a forceful tool against us, because of what I sighted above as a lack or void, as it doesn’t take much for us to run and hide when such insinuations are brought about against us and unfortunately your so called “friends” are the first to cut and run. Many songs express our behavior when such accusations are brought. However Ironically, we are quick to come to the defense of those who don’t look like us…is this the a result of the 300 hundred years of mental slavery after the chains were removed? Are we sick boss? Hey Buddy!, I found this information for you: "‘Friends’ Desert Bill Cosby When He Needs Them Most". Here is the website link: https://blackmeninamerica.com/friends-desert-bill-cosby-when-he-needs-them-most/. Thank you.